The tiny giants Miss M8ty, HARTING ix Industrial and the HARTING T1 Industrial continue their mission in Hannover. The HARTING Technology Group will be presenting a number of technological highlights at its special anniversary at this year’s HANNOVER MESSE industrial trade fair (24 – 28 April 2017, Hall 11, Stand C15). In 1947, the family-owned company was present at the premiere of the trade fair and is one of the very few exhibitors that has been present at the world’s largest industrial trade show every year without fail ever since. In recognition of this, HARTING’s presence this year is dedicated to the theme “HARTING@Hannover Messe: a strong connection for 70 years”. As a driver and partner to Integrated Industry, HARTING will once again present its latest products and solutions. “Integrated Industry creates value. We show how HARTING products and solutions are specifically able to increase benefits for customers,” says CEO Philip Harting. The technology group’s presence is clearly guided by the motto of this year’s fair: “Integrated Industry – Creating Values”. 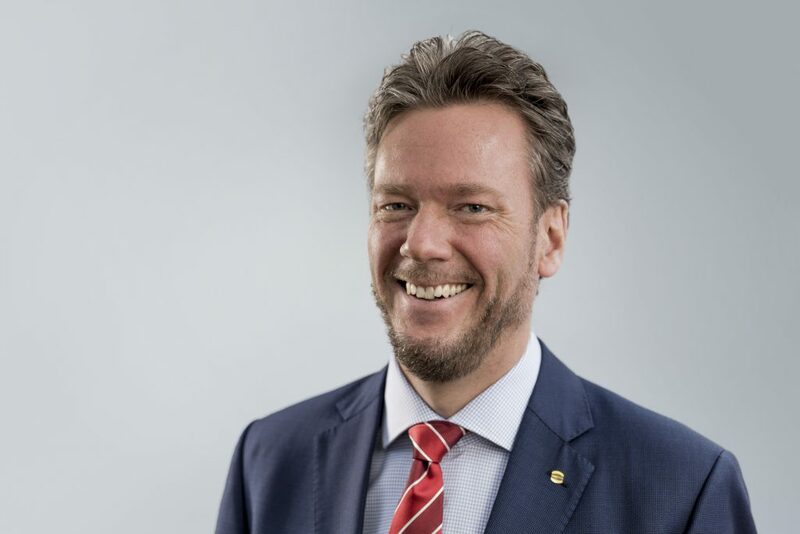 Philip Harting, CEO of HARTING Technology Group; Member of Trade Fair Advisory Council Industrial Automation of Hannover Messe (DMAG), Hannover; Member of the Executive Board of the Association of the German Trade Fair Industry (AUMA). (Wilhelm Harting Mechanical Workshops) in Minden, company founder Wilhelm Harting used the first trade fair to search for customers for his young company, which was initially successful with devices for pasture fences, cooking plates, energy-saving lamps and irons. 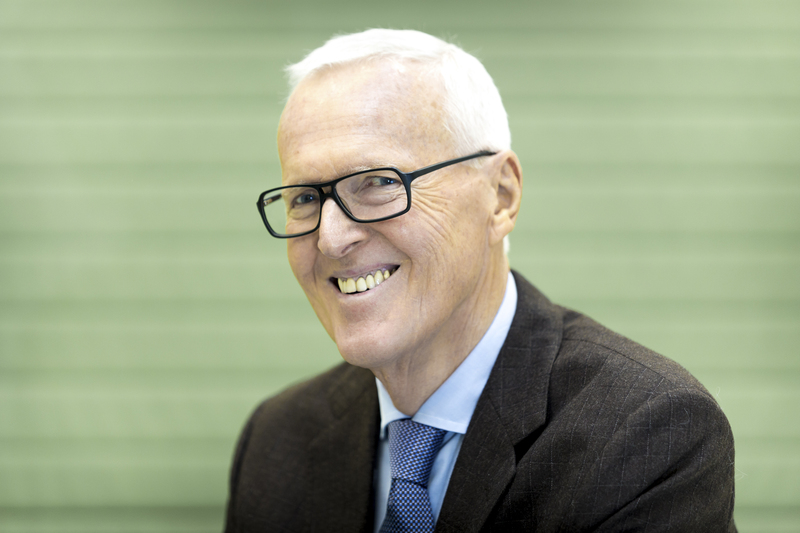 “He wanted to make contact with new customers,” remembers Dietmar Harting, long-time Chairman of the Exhibitors Committee and former Deputy Chairman of the Supervisory Board of Deutsche Messe AG, who in his childhood accompanied his father along with brother Jürgen. For the two boys, the “Export Trade Fair” was always a great experience. For the past seven decades, Hannover has been the most important trade fair date in HARTING’s calendar. With approximately 1,500 square metres at its main stand, and as a partner of several joint stands, HARTING continually demonstrates its standing as an innovative technology company. 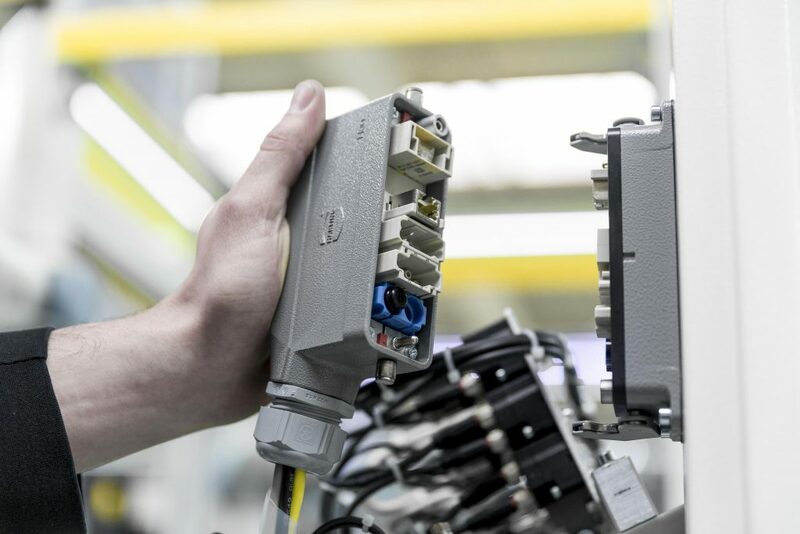 With complete hardware and software solutions for all applications in industrial connection technology, the company has developed into a solution provider for Integrated Industry (Industry 4.0). “For us, our presence in Hannover is one of our most important marketing tools. Consequently, we leave nothing to chance, and plan our presence down to the last detail. We use this venue to show our latest technical developments and always inspire long-time and new customers equally,” says CEO Philip Harting. year. “The first seven months have gone well, so currently we’re expecting growth in the mid-single digits for the full fiscal year. Perhaps even a little more.” He thus raised the forecast from the annual press conference at the end of 2016. Growth is occurring across all sectors, markets and products. Important infrastructure projects are also developing positively, e.g. the construction of the new logistics centre. The planned European Distribution Centre (EDC) is the largest individual investment in the company’s history, at some 40 million euros. The official ground-breaking ceremony is scheduled for 12 May. While the new production plants in Pune (India) and Sibiu (Romania) have already been officially opened, the 60-strong team at HARTING Customised Solutions (HCS), which is currently housed at HARTING Deutschland in Minden, is looking forward to its relocation to plant 7 in Espelkamp. HARTING will once again be presenting a raft of new products in Hannover. Among these is the Han Pneumatic Module Metal, a new pneumatic module developed in order to meet the increased demands on interfaces in flexible manufacturing. The advantage for the customer: it also uses robust and long-lasting metal contacts and can be connected and disconnected at least 10,000. at least 10,000 mating cycles. The new module offers users the advantage of using compressed air, even in production equipment that has to be converted frequently– e.g. in assembly plants, processing cells or production modules for loading and unloading machines. The new interface is distinguished by push-in fittings that operate on the push-pull principle and its ability to be used use at high operating pressures of up to 10 bar (previously 8 bar). This translates into a significant increase in the types pneumatic hoses that can be used while also extending the possible applications for the entire low pressure area. The Han Pneumatic Module Metal is one of the highlights at the HANNOVER MESSE industrial trade fair. 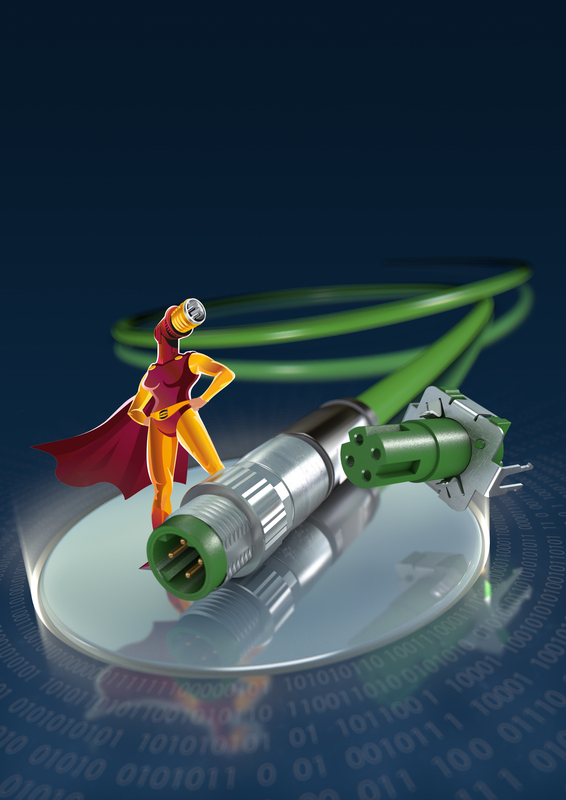 Three “tiny giants” will also be present at the HANNOVER MESSE – three miniaturised plug-in connectors for fast Ethernet and Industry 4.0 applications. 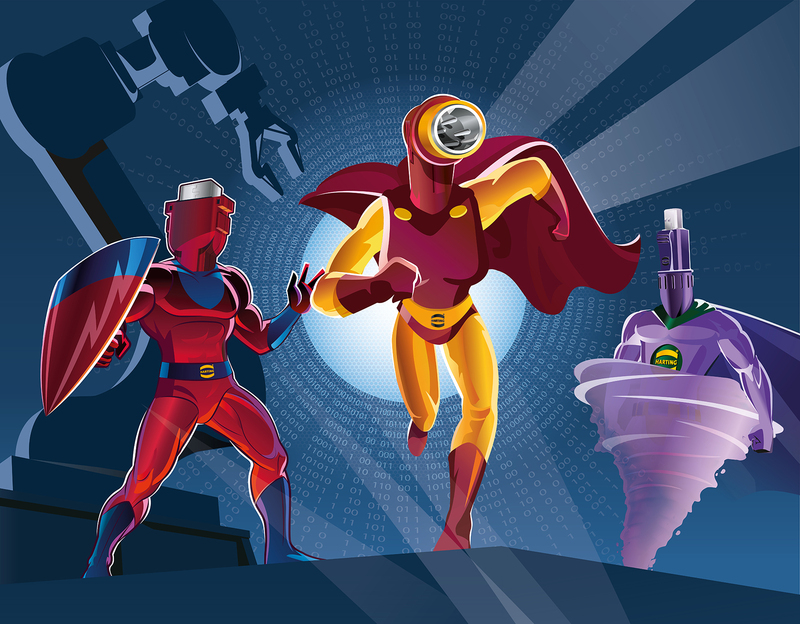 Comic book hero Captain ix (HARTING IX industrial), Miss M8ty (M8 D-coded) and Tw1ster (T1 Industrial) have been causing a furore in the market since the SPS .This time the heroes are led by a female protagonist. The little heroine for the big network brings Ethernet down to the smallest corner of the field level, thus demonstrating the power of miniaturisation. Just in time for the trade show, not only are there individual new components, but also a complete M8 D-coded solution for Ethernet from the Cloud down to the last sensor will be on display. Miss M8ty offers a convincing miniaturised, powerful and robust solution. The Miss M8ty, HARTING ix Industrial and HARTING T1 Industrial continue their mission in Hannover as tiny giants. All three are ideal solutions for the miniaturised connectivity of the industry of tomorrow. And last but not least, the technology group is exhibiting convincing examples from the MICA range, the 2016 HERMES AWARD winner. HARTING implements four business models: inhouse development (specific new features for the MICA), collaboration with development partners, e.g. Digital Technology Poland (DTP), cooperation in the Cloud data processing sector, with IBM Watson for example, and then the MICA network, in which partners exchange views on their applications and experiences with the MICA. “We live connectivity – as a business model too,” says CEO Philip Harting.